Voltage (load) regulation is to maintain a fixed voltage under different load.Voltage regulation is limiting factor to decide the size of either conductor or type of insulation. L – Total Length of Line from Power Sending to Power Receiving in KM. 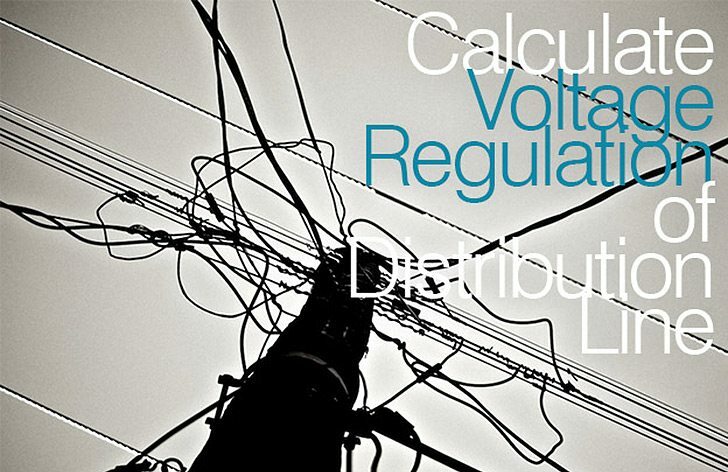 RC – Regulation Constant (KVA-KM) per 1% drop. LDF – Load Distribution Factor. LDF = 2 for uniformly distributed Load on Feeder. LDF > 2 If Load is skewed toward the Power Transformer. LDF = 1 To 2 If Load is skewed toward the Tail end of Feeder. In case it is difficult to achieve the desired voltage especially in Rural areas, then 11/0.433 kV distribution transformers(in place of normal 11/0.4 kV DT’s) may be used in these areas. L – distance in per unit along the line from sub-station. n – relative position of capacitor bank along the feeder from sub-station if the total capacitance is to be divided into more than one Bank along the line. If all capacitance is put in one Bank than values of n=1. Permissible limit of % Voltage Regulation at Trail end is 5%. How 3rd harmonics are mitigated in tertiary winding, delta connected. The answer is pending since 2015. Why no body has turned back with a comprehensive reply,including Jignesh Parmar. One 11 KV HT line feeder is required to provide power supply to the sub divided 85 Nos. industrial plots. Though these plots are not yet sold but considering the futuristic requirement of the power supply of the individual plot holder, an electrification scheme is required to be passed from DHBVN as it is technically not feasible to get power supply from the DHBVN. The total minimum load as per the norms of the dhbvn is 3915 kv, hence we need to apply for the sanctioning of the load. Could anyone suggest, how the demand factor / diversification factor is taken and what would be the load required for applying. Demand factor would = 3910 x .625 = 2443.75 kva or 2.45 mva approx. Request confirm whether the demand factor 0.625 will be divided or multiplied to get the total load? How third harmonics are mitigated by tertiary winding? i am working in Electricity Department Silvassa. recently i have made calculation as per above method which is as under . kindly guide me is it true? •	Load Current at Point A (I) =225 / 1.732x11000x0.99 = 13.12 Amp. •	Receiving end Voltage at Point A = Sending end Volt-Voltage Drop= (11000-9.21) = 10990.79 Volt. What is the longest distance an 11KV line can cover before you upgrade to 33KV line. We are using 11KV line for the inner city. We are trying to move our generation machinery to a site that is 7 kms away from the city. Some of our staff are saying we should upgrade to a 33KV line for the distance. Is that acceptable. Or should we stick to the 11KV line we use for our inner city distribution. In other words, does it mean a higher resistance for the 11KV line to justify the 33KV line. how can i calculate 22KV cable voltage drop ?? I have question . Why we choose 5 percent for voltage regulation , I mean i khow there is a standard but the question is what is the idea behind this standard. Could you please share the method/formulae for the voltage drop calculation for overhead LT line feeders. How its possible Voltage drop proper calculation? Dear Sir, i want to calculate the voltage drop of an overhead line using DOG Conductor of length around 3000 meter and load around 400 KW. When i m calculating the voltage drop per line then it is over permissible (5%). Transformer capacity = 630 KVA. Pls guide me for make it under permissible. 1/ What size CROSS SECTION mm of AAC Aluminium Overhead cable would I require? 2/ Would I be able to connect other transformers upto 400Kva, in Total? Can you give calculation of Voltage Drop of LV system having 2 or 3 run Parallel Power Cable connection ? LT CABLE VOL.DROP FORMULA IS AS BELOW. If any other queries in above formula contact me on above mail. what is maximum loading in 100 KVA and 63 KVA DTR in HP? I just presently left my banking job to return to field of engineering. Your work on this site has been a tremendous refresher for me and even much more. I just want to say thank you for being part of those helping my confidence of finding a place in the field. However, there’s still much for me to cover just keep up the good work. 1. Indicarme la razón por la cual, en los ejemplos de regulación, no se acumuló en la carga A, la carga B y C, teniendo en cuenta que se debería acumular el momento eléctrico al momento de cálculo. 2. Indicarme por favor bibliografía adicional (normatividad) para este tipo de cálculo. 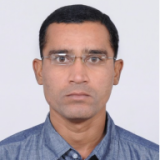 with due to respect i want to say that you done a fantastic job on this portal and its very helpful to all engineers,technician and all people who related to electrical engineering field. at last my one request to you that give me more info about the interconnecting transformer ICT using auto transformer, please! It is more useful datas. Many more thanks & grateful to you.